The PosiTest Automatic Adhesion Tester Is Vastly Improved and measures the force required to pull a specified test diameter of coating away from its substrate using hydraulic pressure. 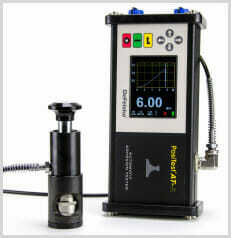 Built-in rechargeable battery performs over 200 tests per charge. 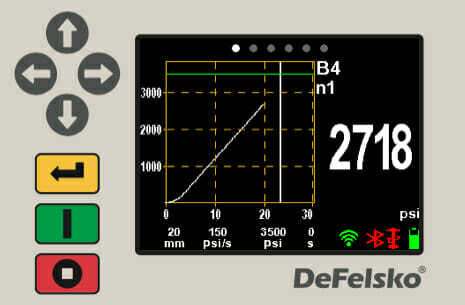 Continue testing with AC power while the battery recharges. Use the touch screen to interact with menu options. 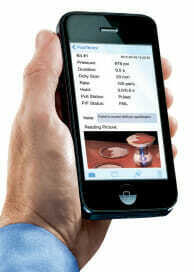 Swipe horizontally to navigate between views or vertically to move between batch readings. Alternatively, the keypad can be used for navigation and selection. Upon completion of a pull-off test, the dolly and coated surface should be examined. In addition to pull-off force, many National and International standards such as ASTM D4541 and ISO 4624 require the nature of the fracture to be recorded. 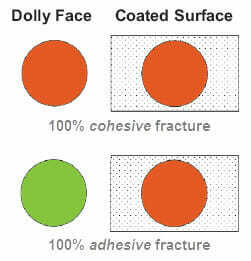 Cohesive fracture: fracture occurs within a coating layer (same coating on dolly face and coated surface). Adhesive fracture: fracture occurs at the interface between layers (coating on dolly face differs from surface). Glue failure: visible separation of the glue from itself, the coating or dolly (no coating visible on the dolly face). 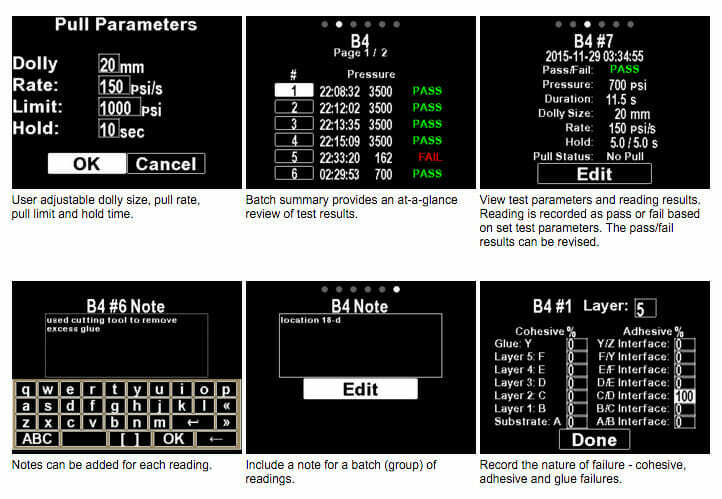 The cohesive and adhesive fracture visual analysis can be recorded using the PosiTest AT-A’s keypad or touch screen display. Alternatively, the information can be reported using the PosiTector App. The PosiTest AT-A can record fracture information for up to five layers. For full details and examples see Visual Analysis and Recording of Test Results. 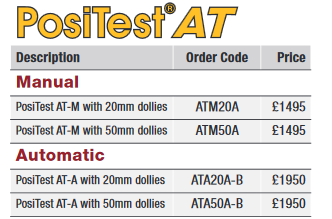 All the useful accessories to accompany your PosiTest Automatic Adhesion Tester can be found here.